While working on a small fun project that involved animating splines (Montpellier Tramway Map morph), the limitations of Spline IK and general hostility of spline animation forced me to create my own simple animation-friendly spline control. fixed toggle on and off functionality. Displays tape-length information in the viewport. Effects all tapes currently visible. Displays the user defined tape length at the base of the tape and the distance to the target at the target. Updates in real-time. I work in inches, so displaying "in." is hard-coded. Change that part ("+" in. "")of the code, or remove it to make it go away. 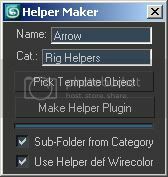 Creates a new Helper from a template object. 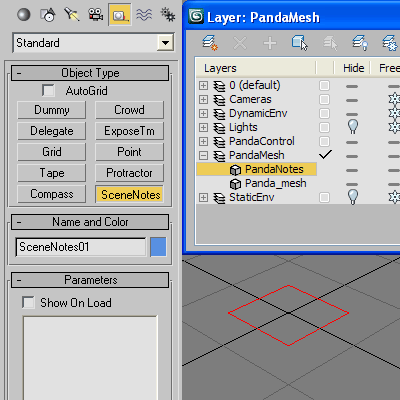 This tool exposes the main VRay settings that contribute to the quality of the final rendered image and puts them into one quickly accessible dialog. I recomend using this in combination with the VRaySampleRate render element to fine tune your renders for speed and quality.